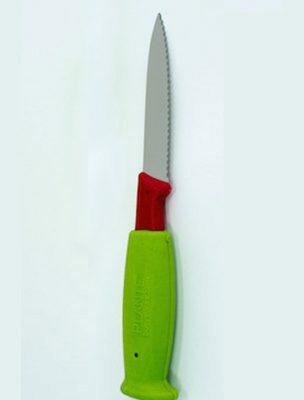 This new design is a knife sheath for use by Lobstermen and Fishermen and is designed to fit our Fisherman’s Knife. This new sheath will allow Lobstermen or Fishermen to hang the knife on their belts or upside down on their foul weather pant suspenders. The unique design allows them to grab the knife, when mounted by the shoulder, and draw it downward away from their face and neck. 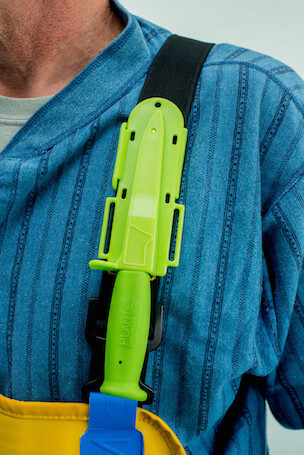 This can be done with one hand, which is very useful when tangled in line. Plante’s currently offers over one hundred items for the lobster industry. 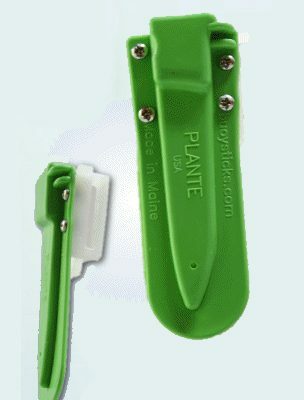 This new item would be the first Plante product that actually could improve the safety of Lobstermen and Fishermen. 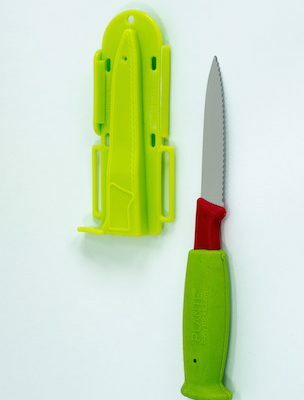 The knife and sheath are shown in green but we will ship whatever color is in stock (usually orange).